Designing a play space or exercise circuit is always challenging, there are many factors to consider including the type of activity you want the user to engage in, imagination and stimulation provided by the equipment and location, and how to best utilise the space you have. 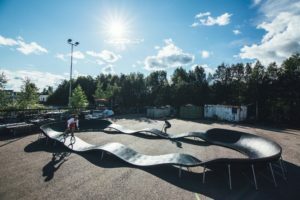 In this post we’ve highlighted a number of different options to consider when you are next designing your playground or fitness park. 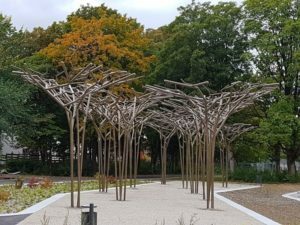 With cities becoming densely populated with less green space, clients becoming more risk adverse and the potential for less time to be spent developing a full custom solution, suppliers need to reflect natural forms for nature play environments. Nature Play is about creating a setting that encourages children to use their imagination and explore. 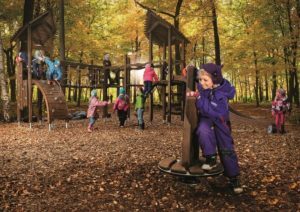 Play spaces can utilise natural materials or be housed within a natural setting. The items should blend into their surroundings and be a representation of nature. Children want to explore with natural organic shapes, colours, textures and patterns. Suppliers are also looking at combining man-made elements with natural materials to develop a new way of exploring. Introducing creativity to the natural material will provide a sense of fun and spark children’s imagination. Architecturally designed pieces push the boundaries for play spaces in terms of design and functionality. These pieces can be designed to stand out, become a talking point or be sympathetic to the environment where off-the-shelf pieces cannot. Bringing an architect’s design to reality can be challenging but also extremely rewarding. It is the responsibility of the designer and supplier to ensure safety standards are followed, units are tested and engineering certification completed before manufacture has even begun. 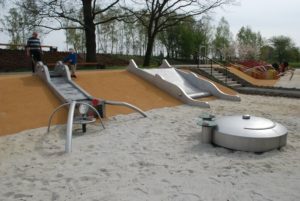 Even though this is not a playground unit as such it can still be used in a play environment. The local government for this project wanted a symbol for sustainability and created these custom-made Rose Trees which will stand tall for many years to come. It provides a relaxing environment for people to enjoy the nature and other surroundings. 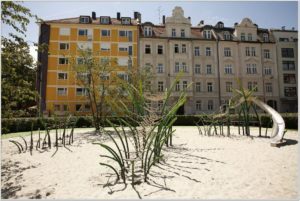 This piece for Josephsplatz playground in Munich is a prime example of an architecturally designed concept. GrassArt as its came to be known, is beautifully integrated into its environment with hand painted blades of grass and spliced nets which nestle in-between. Being Inclusive, means having play or sporting spaces that can be utilised by people of all abilities. 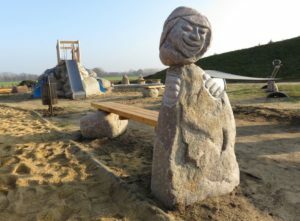 Inclusive playgrounds are designed to make them such that it is easy for everyone to move and play in them, encouraging all to play and exercise together. 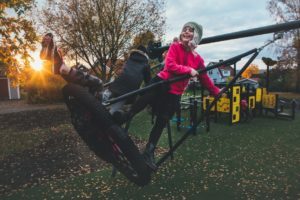 All children will not always be able to participate in all of the activities, but in an inclusive playground there should always be a real choice of play activities for all children. 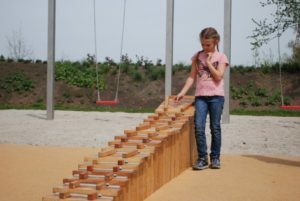 Playgrounds do not have to take up a lot of space, if you have a very narrow area – with the introduction of walls, nets, ramps, slides etc the play activity can be extended upwards. Height also provides adventure to users. The walls, which should be visible, provide a safety barrier but the visibility allows for a sense of risk but also safety. Elongating the play area, and incorporating different challenges to navigate through, will make for a fun game and competition. 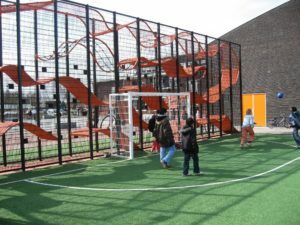 Rather than having play and sporting spaces installed for 10 plus years, having the ability to re-organise the area to reactive the space is important. It will encourage on-going use of the space if there are new challenges that develop every 6-12 months. Narrow alleyways and dis-used tennis courts are sometimes all that is required. Items suitable for short-term installs can also be utilised in permanent installations. 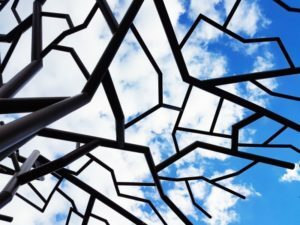 Semi-permanent installation also means they can be installed in other locations at a later date to activate a new space. This may be a great investment by local government as a one-off purchase which can be used in multiple areas over a number of years. Think about the products being used as a pop-up space for a community consultation process which may be required by council prior to installing a permeant structure or for expos or short term sponsored events. 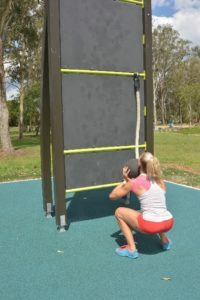 As there is not yet an outdoor sporting standard in Australia, we’ve had to look to Europe and other countries to get an understanding how products have evolved for permanent outdoor fitness market. Typically, static and dynamic equipment is readily available, but some suppliers follow current trends like Parkour or Cross-Fit to provide a different challenge and engagement level for the user. Although standards are important, sometimes they can be restricting, and it may be up to local government or the organisations to determine the risk or to put the onus back on the individual on using equipment that may be more challenging. Suppliers may see these products as more of a benefit to the individual which outweighs the risk. 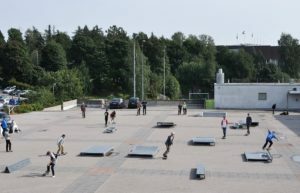 Opening up these sorts of activities into our urban spaces is a great way to promote fitness and a healthy active lifestyle. We’re saying you don’t need a gym membership to be happy and healthy. Having an active lifestyle doesn’t mean you stop at 50 or 60 – keeping active into your 70s, 80s and 90s means a reduction in the risk of injury or falling down. Studies in Spain and Finland showed that 1 Euro spent now saves 6-10 Euros in the future in reduced hospitalisation and rehabilitation cost. Developed in conjunction with physiotherapists, exercises shown here can assist seniors with everyday activities, like buttoning up a shirt, opening a jar or getting dressed, but also with good posture, dexterity and improved muscle strength. 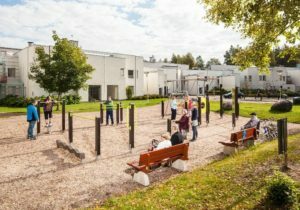 A study by Victoria University in Australia evaluated the effectiveness of an exercise intervention using an exercise park specifically designed for older people, and showed a reduction in the risk of falls and improved strength and balance. Mental well-being is also improved through increased social activity and time spent outdoors. And the great thing with these types of equipment, they are multi-generational, so the grandkids can play while the grandparents work out. Individual exercise equipment for seniors, designed to be low risk, can be used in hospitals and aged care facilities to assist with rehabilitation; this includes balance beams, uneven surfaces, and calf step ups. It’s about keeping the elderly active and outdoors, companionship with a healthy lifestyle. Its beneficial to have early engagement with the solution designer or manufacturer as they will be able to discuss potential challenges, testing, prototyping or even engaging with an expert to create a bespoke concept to suit your space.